There were 19.8 million current users of marijuana in the 12+ age group (7.5 percent of this population), which was an increase compared to the survey rates from 2002 to 2011 (results ranged from 5.8 to 7.3 percent of this population). Individuals who use other illicit drugs are exceptionally likely to use marijuana (6 percent of this group). Among Americans aged 12 or older, 2.4 million used marijuana for the first time within the prior 12-month period. The statistic regarding new initiates to marijuana use translates to 6,600 new users each day. In the 12-17 age group, 7.1 percent were current marijuana users. As the National Institute on Drug Abuse notes, the marijuana buds that individuals smoke are a greenish mix of the shredded and dried leaves and flowers from the hemp plant (cannabis sativa). Marijuana, more recently, has taken on new more potent and less potent forms. Known as marijuana concentrates(or cannabis concentrates/extractions), highly potent variations made through different fabrication processes include oils and butters (because they have this texture). Potent concentrates can be consumed (e.g. tinctures) or smoked (e.g. waxes, oils, butters). A less potent concentrate is a balm or salve. This formulation is used topically to treat local pain and inflammation. Balms and salves reportedly do not have any psychoactive effects, and their use is typically not detected on drug tests. Marijuana is widely used and has strongly withstood the test of time, but why? Some individuals would argue that the medicinal effects of marijuana have led to its popularity. Others would point squarely to its psychoactive effects. Some would say that there is no difference between the two uses. The main psychoactive (i.e., mind-altering) chemical in marijuana is THC (delta-9-tetrahydrocannabinol). The leaves and buds of the female cannabis plant produce a resin that is rich in THC. But THC is not the only chemical ingredient, it’s just the main one. According to research, the hemp plant is the organic home of more than 500 chemicals. Of these chemicals, over 100 are cannabinoids, a chemical that is related to THC. According to reports, the most potent strains of marijuana buds are approximately 25 percent THC while the most potent concentrates can exceed a level of 50 percent TCH. The body naturally breaks marijuana down into cannabinoids, and the blood carries these cannabinoids directly to the brain. The activity of the cannabinoids in the brain is responsible for marijuana’s mind-altering effects. At this juncture, it is useful to point out that mind-altering drugs can generally be divided into three categories: stimulants, depressants, and hallucinogens. Marijuana, however, does not squarely fit any of these categories and is considered a bit of an aberration. Marijuana can present mildly hallucinogenic effects, but it is not considered a hallucinogen. It is also considered to be a mild stimulant that can produce depressive effects. Suffice it to say that the research community typically considers marijuana to be sui generis; it created and occupies its own space. In order to understand why marijuana has psychoactive effects, it is helpful to consider the activity of cannabinoids in the brain. One way to visualize the communications that occur at the neurological level is to imagine a network of long nerve cells. Each of these nerve cells is a conduit for electrical signals. There are breaks between these long nerve cells, and that space is known as a synapse. Electrical signals must cross the synapse in order to continue their communication through the next nerve cell and beyond. The electrical signal is communicated across the synapse with the aid of neurotransmitters and the receptor site of the next nerve cell along the communication pathway. The brain has cannabinoid receptors, which means that cannabinoid, a neurotransmitter, can dock into them and initiate communication down the pathway. The most common effect of cannabinoids is to signal to the brain to slow down communications. This is why one commonly reported experience among marijuana users is a sense of feeling relaxed and heavy (or a bit dulled out). As stress is a common experience in life, marijuana may be popular precisely for its relaxation-inducing feeling (at least in some users). As mentioned, marijuana is associated with medicinal effects, and it is prescribed for a host of conditions in states that have made the manufacture, distribution, and use of this drug legal for certain medical purposes. there is a growing concern that the higher THC content in marijuana concentrates and certain superstrains of marijuana buds increases the risk of addiction. According to the National Institute on Drug Abuse (NIDA), approximately 9 percent of individuals who use marijuana (averaging recreational and chronic users) will develop physical dependence on this drug. Of those individuals who use marijuana chronically (i.e., daily/near daily), approximately 25-50 percent will develop physical dependence. Among individuals who began to use this drug in their teens, an estimated 17 percent will become physically dependent. As statistics reflect, starting marijuana use in one’s teens makes a person more susceptible to developing physical dependence compared to the general population. Research shows the reason for this trend has to do with the impact of marijuana use on the adolescent brain. When marijuana is introduced into the adolescent and use persists, changes in the brain dispose the brain to more readily develop physical dependence on this drug. Another way of looking at the impact of marijuana on adolescents and young adults is to consider trends in drug rehab admissions. According to a research study published in Addiction Science and Clinical Practice, an average of 50 percent of people under the age of 25 years who are admitted to rehab need recovery services for marijuana abuse. It is well established in the US that only a fraction of individuals, of all ages, who need recovery services will enter a specialized treatment program. The combination of the statistics related to treatment admission trends and the gap between treatment needs and treatment delivery supports that there are a significant number of Americans, of all ages, who require treatment for marijuana abuse but who are not receiving treatment. In addition, marijuana is associated with a distinctive odor that is quite uniform across different strains. This odor often settles into a person’s clothes and hair, and even if the marijuana use is not occurring in one’s home or shared living space, it may be readily detected. Individuals who are unfamiliar with marijuana may be at a disadvantage in terms of clearly identifying this odor, but it has been described as smelling like moldy grass, thyme, sweet and earthy, sage, or tobacco. It can be challenging for a concerned person to gauge the level of use involved. 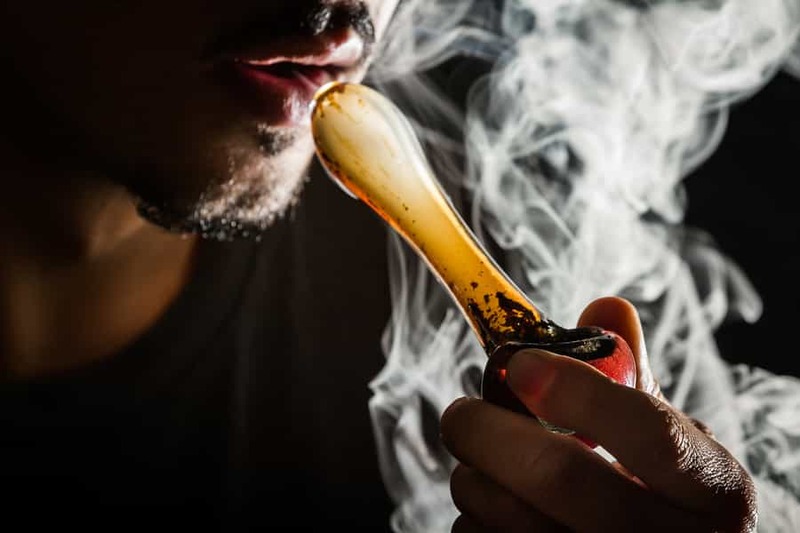 First, it is established that some recreational users will progress to physical dependence on or addiction to marijuana (based in part on genetic factors). Second, statistical research demonstrates that the majority of polydrug users include marijuana among their drugs of abuse. In this way, discovering that a person is using marijuana could open the door to learning that polydrug use is occurring. Finally, chronic marijuana use is associated with certain long-term health effects. For instance, research indicates that marijuana use can cause irreversible brain damage to areas of the brain involved in memory and learning, especially in users who are younger than the mid-20s. Marijuana use has also been associated with lowered IQ; however, marijuana users who began to use this drug in adulthood may not manifest these brain problems. The short answer is yes. An important follow-up question is: Can a marijuana overdose be fatal? The short answer is most likely not. In fact, a marijuana overdose will likely not result in any permanent physical damage. That being said, it is never advisable to illicitly consume marijuana, let alone a toxic volume of this drug. Typically, these symptoms will pass in the matter of minutes or hours. It is advisable to seek medical attention because it is difficult for the affected person or concerned person to accurately gauge the severity of the overdose. In some instance, the marijuana or marijuana concentrate may contain poisonous ingredients (i.e., “a bad batch”) because it was manufactured on the street or in an illicit laboratory. For this reason, it can be helpful to not only keep in mind the potential for a marijuana overdose but also the potential to be poisoned from additives. Individuals who enter a rehab center may do so with marijuana as their primary or secondary drug of abuse. For purposes of a discussion on treatment, it will be assumed that marijuana is the primary drug of abuse. Individuals who are seeking recovery services for marijuana abuse may have little to no experience with rehab and not know what to expect. Although there is considerable variation among rehab centers, with variables related to levels of service, it is helpful to consider that there are two main phases of treatment at all competent rehab centers: detox and abstinence maintenance. When individuals first enter a rehab center, the first service they will typically be provided with is medical detox. In order for the rest of the treatment curriculum to have effect, it is established in the substance abuse treatment community that individuals must purge the drugs of abuse from their system. Depending on the rehab center, the detox process may be offered onsite or at a local hospital or detox facility. Detox is a natural process but during a medically supervised detox, the recovering person will receive care and monitoring from medical and support staff. At present, there are no prescription medications that are indicated for use in the marijuana detox phase. However, if a recovering person experiences uncomfortable side effects during withdrawal, attending medical staff will typically provide over-the-counter palliatives or mild prescription medications. Typically, detox lasts from two days to one week. It is helpful to draw a distinction between testing positive for cannabis on a drug exam versus being ready for the abstinence maintenance phase of treatment. While cannabis can be detected in a person’s hair follicles for up to 90 days, in a rehab program, a person can typically transition from detox to abstinence maintenance within a few days because the amount of cannabis present in the body system is not sufficient to compromise therapy. In some instances, detox is not required for marijuana addiction. After the detox phase is complete, if needed, a recovering person enters the abstinence maintenance phase of treatment. Again, as no medications have been indicated for use in recovery from marijuana abuse, the main component of this phase of treatment is therapy. An umbrella term, therapy includes over 200 schools of thought and practice. Typically, a rehab center will use research-based therapies (i.e., those therapies that research has shown to be effective either in the drug rehab context in general or specifically for recovery from a certain drug of abuse). According to the National Institute on Drug Abuse, research-based therapies for marijuana (which can be used in individual as well as group sessions) include Cognitive Behavioral Therapy, Contingency Management, and Motivation Enhancement Therapy. The main goals of these therapy include: (1) helping to motivate a client to fully engage in the treatment curriculum (Contingency Management and Motivational Enhancement Therapy), and (2) assisting the recovering person in identifying the destructive thoughts underlying drug abuse behaviors and developing new coping strategies and skills to avoid relapse (Cognitive Behavioral Therapy). While detox and abstinence maintenance are the two main pillars of rehab treatment, it is well established in the addiction treatment field that group recovery meetings are indispensable to the process. Group recovery meetings are also known as mutual-aid groups or fellowships because they are led by the members who are in recovery; therapists do not lead these groups. In a residential program (i.e., the recovering individuals live onsite at the rehab center), group recovery meetings will typically be hosted onsite or transportation will be provided to a local group. In outpatient programs, the meetings may occur onsite, or the center will encourage clients to attend meetings offsite at other times. Of those rehabs that offer group recovery meetings onsite, many follow the 12-Step model that was originally developed by the Alcoholics Anonymous (AA) fellowship. Numerous groups have adopted the organization template of AA, such as Narcotics Anonymous and Marijuana Anonymous. Fellowships within the “Anonymous” lineage all have a faith-based approached to mutual aid in the recovery process. However, the group SMART Recovery is not faith-based and, depending on local availability, can be pursued by anyone who feels drawn to this organization’s approach. Marijuana is a hotly debated drug that occupies a lot of the spotlight of the war on drugs. For this reason, many unscientific opinions abound about this drug. The mythology around marijuana can put individuals at risk for abuse of this drug. As discussed, some recreational users of marijuana will progress to physical dependence on this drug. Further, marijuana is associated with deleterious physical consequences, especially on the brain in users younger than the mid-20s. In addition, a topic that was not discussed here but bears note, individuals who use marijuana are at risk for engaging in reckless or negligent behavior, such as operating a vehicle or machinery while under the influence of the drug. A clinician can provide a person with a diagnosis of marijuana use disorder (following the substance use disorder factors set forth in the Diagnostic and Statistical Manual of Mental Disorders – 5) and determine the severity grade. At present, the most effective way to address existing problems around marijuana abuse, as well as reduce the risk of future problems (physical, mental, social, and legal), is to receive treatment in a specialized facility.